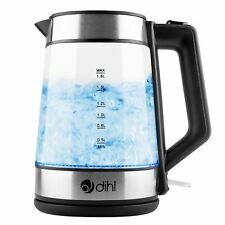 【Blue LED indicator Light】: The blue LED indicator can light up when electric kettle starts to boil water,so don't worry about forgetting it! Once the kettle shut off, the lights will go out, so you can know when the water finish boiling. Power: 3kW. Capacity: 1.5 Litre / 6 Cup. 4indoors provides a standard one year warranty on all of our products. This will need to be set up directly with the manufacturer. Details of this will be enclosed with the item. 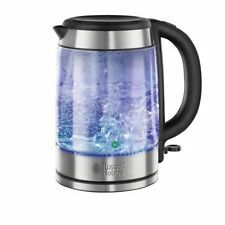 Russell Hobbs 21270 Textures 3kW 1.7L Rapid Boil Kettle - White. Rear water window makes accurate filling easy and also illuminates blue on boil. Lift off lid, non-slip feet and cord storage. SUPERLEX 600W 2 in 1 Handheld Upright Bagless Stick Vacuum Floor Cleaner Corded. SUPERLEX 3 in 1 Sandwich Maker Toaster Waffle Iron Grill Press Non-Stick. SUPERLEX 2.8L Dial Air Fryer Rapid Healthy Cooker Oven Low Fat Free Food Frying. The 360° base is perfect for left & right-hand use and the cord storage ensures your work-top remains tidy. 1.7 litre capacity. 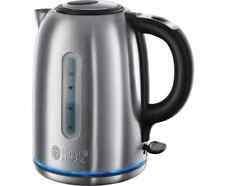 Boil dry protection - automatically switches off when the kettle is empty. Water is filtered as you pour into the 1L kettle, removing impurities such as chlorine, copper and lead. 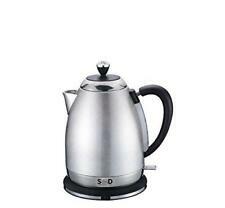 Make brews fast, with a 3KW quick boil, or simply use the kettle as a standard water filter jug. Impressions Kettle - Black. Style: Jug. Power: 3000 Watt. Rapid Boil: Yes. Cord Storage: Yes. Boil Dry Protection: Yes. The Black Breville Impressions VKJ755 Jug Kettle is a ridged textured designed and is sure to be the centre point on your kitchen work top space. Breville Impressions Kettle - 1.7 L, Black. Left hander?. Breville VKJ755 Impressions 1.7 Litre Jug Kettle Black. The 360° base is perfect for left & right-hand use and the cord storage ensures your work-top remains tidy. Boil dry protection - automatically switches off when the kettle is empty. 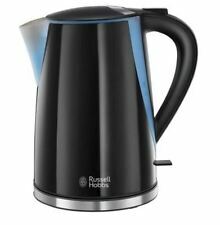 Russell Hobbs 20071 1.7L 3000W Cambridge Kettle. Condition is Used. Dispatched with Royal Mail 2nd Class. 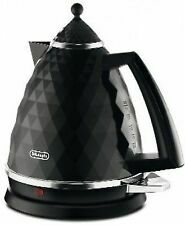 Bosch Village Black Kettle 3KW - 1.7L - TWK7603GB. 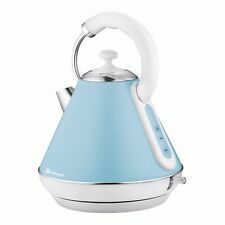 1 x TWK7603GB Bosch Village Kettle. Food & Preparation. Have the benefit of versatility for both left and right handed users with the 360 degrees base. Breville Impressions VKT006 1.7L Jug Kettle - Red. Excellent condition. Only 6 months old. Only selling due to house move and colour change. Still on sale on Amazon (see photo 2) Also selling matching 4 slice toaster. Will combine postage if bought together.